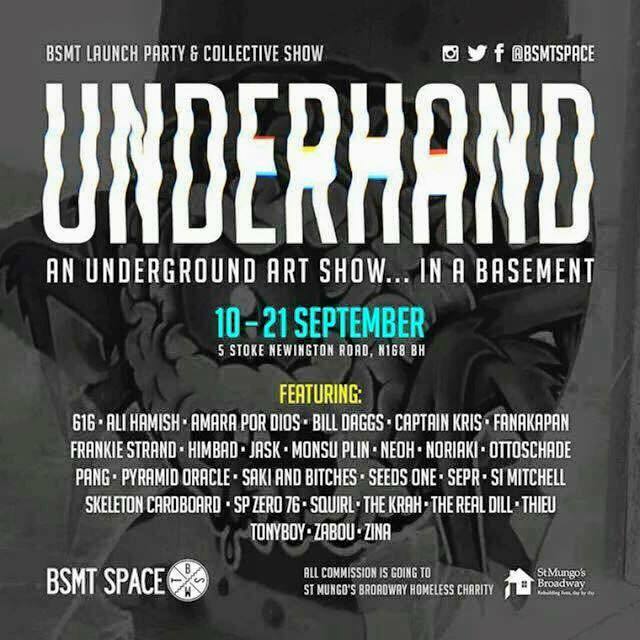 BSMT is a new, underground contemporary project space in the centre of Dalston. We aim to connect creatives and to realise projects that contribute to the ever beating heart of East London. We have brought them together to exhibit their amazing works of art in this dynamic space to raise money for St Mungo's Broadway, a very worthy charity which helps vulnerable people in getting off the streets and as well as recovering from the issues that cause homelessness. This will be a great opportunity to meet some of the artists and to invest in art from both rising and established stars on the Street Art scene as well as contributing to a good cause.